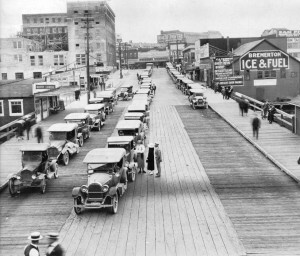 Lace up your shoes for a walking tour of Bremerton Friday night. The group will meet at the Kitsap County Historical Society (208 Fourth Street) at 6:30 p.m.
Thirteen sites will be visited by the tour, said City Councilwoman Dianne Robinson. The walking tour also coincides with the First Friday Art Walk. Have fun, and hopefully it won’t rain. Bremerton just keeps on growing, and it keeps pushing southward. Development is under way on a tract of newly cleared land on the west side of Anderson Hill Road. The 56-acre parcel, slated for 294 single-family homes, is within city of Bremerton limits, even though land surrounding it is in South Kitsap. Another 125-acre parcel to the west, to hold 600 homes, is also part of the city. A couple of property owners got the official OK from the Bremerton City Council to have their 150 acres become part of the city. If the annexation makes it through a boundary review, the acreage could be the first of about 3,400 acres in the South Kitsap Industrial Area to call Bremerton home. This expansion isn’t going unnoticed, and it’s not going without objection. As in, they are reasonable enough to not try to take the disagreement between the two cities over who is entitled to what in front of a judge. The Associated Press picked Bremerton to feature in a story about homeless people voting. There’s no mention why Bremerton was picked. The city has homeless people, but so does virtually every other city. An interesting item inside was an interview with a Salvation Army volunteer named Walter Washington during a voter registration drive. My colleague Steve Gardner wondered if that was the same Walter Washington who is Kitsap County auditor. I wondered too. In related news, comes this story from the L.A. Times, saying that chronic homelessness is down 15 percent nationally. If you haven’t heard, Los Angeles is declaring a moratorium on new fast food joints in some low-income areas. Read a wire story on the policy here. It’s kind of a weird policy, you have to admit. Fast food may not be as nutritious as a home-cooked meal, but it’s quick and cheap, two things that matter to a low-income family, where parents may be working two jobs each and spending their money on gas to get to those two jobs. Could such a policy, intended to make people healthier, end up creating additional hardships for low-income people? The intent of the policy is to encourage healthy alternatives. Could this be the beginning of a Tom’s Tufu Hut renaissance? Maybe the kids will be clamoring for birthday parties at Big Earl’s Bean Curd Parlor and Family Food Place? Friday night hanging out at the Ye Olde Spirulina Shoppe? Closer to home, downtown Bremerton has a similar practice, but it comes without a policy. City government hasn’t passed down any edicts on where fast-food joints can set up shop, but apparently they don’t have to. With the shuttering of the KFC on Naval Avenue in late May/early June, the Warren Avenue Burger King is the only corporate chain fast food drive-thru in the downtown Bremerton area. 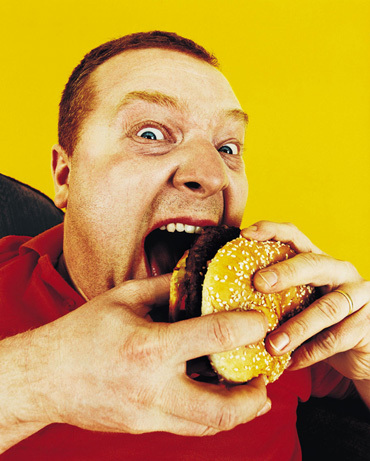 Of course, Kitsap Way and East Bremerton have more fast food than you could shake a clogged artery at. Plus, downtown Bremerton has independent and big box eateries, from sandwiches to pizza to teriyaki and tacos. But for cheap and quick and corporate, have it your way or not at all. The new models have arrived! Company cars used by city employees will get a closer look as the city begins drafting its spending plan for next year. Driving that “closer look” is this, an audit of the current policy written by the city auditor. Gov. Chris Gregoire will visit Bremerton Friday. She’ll be visiting other places as well, but let’s be honest, who cares. Bainbridge? Please, bring your name-brand water bottle. Mason County? My parents live there, if that tells you anything about how exciting it is. But at 4 p.m., the state’s chief executive will make a stop at the Fountain Park to bask in the brilliance that is Bremerton. Good for her. 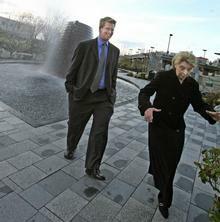 Gregoire is making a trip to Puget Sound cities to promote her initiative to restore Puget Sound by 2020. She’s also running for re-election against former state Sen. Dino Rossi, R-Sammamish, who she barely beat in the last election. I don’t mean to brag, but I have a lot of friends. That’s all it takes. Why, just last week, on two separate occasions, beautiful women wearing skimpy dresses came up to me on the street, out of the blue, and started asking personal questions. Who says Las Vegas isn’t a friendly town? But apparently people don’t need to even see me to know they can call me a friend. Consider these three e-mails I received recently from people I had no idea existed. 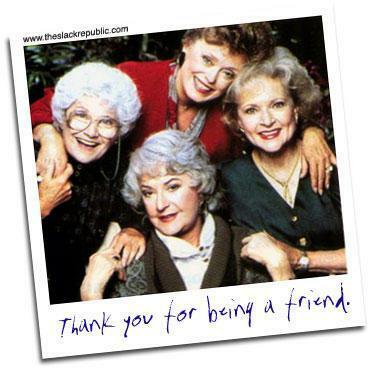 In each one, I found a friend I never knew I had. And instead of just writing to say “Hi” and ask about the family, each friend had found themselves in the strange situation of having to pick somebody to receive an outlandish fortune left behind by a dead person. And they all picked me. At first I thought these e-mails might be a part of some “Nigerian scheme,” where bored computer nerds in third-world Internet cafes cast a multitude of lures into the in-boxes of American vics, easy prey because of their greed and stupidity. But after reading the first two carefully, as my new friend Mrs. Mario Zema from the Bank of Africa in Burkina Faso admonished me, I found no reference to “Nigerian” or even “scheme.” None. However, she/he did begin our formal introduction by calling me “Dearest One! ,,” which won me over like Romeo (or Juliet). A Joseph F. Grillo did die Sept. 11, 2001, at the World Trade Center, but according to Mr. Grillo’s biography, he worked as a risk finance analyst for the Port Authority. He counted himself as a hopeless basketball junkie and was a committed friend and husband. He was 46 when he died, but fortunately his family was not with him. Allen said he found a jackpot, if only I would pose as a next of kin. But what Allen really found is himself in a moral quandary. I plan to write him back and tell him that he should give the money to charity, or just leave it alone. It might sound great at first to be a millionaire, but knowing Allen, and I like to think I know Allen, he would be crippled with guilt if he tried to pocket the money. Who wants to be rich if it means getting rich by being less than honest? The third e-mail, from my new pal “Mr Daniel Ehinme the director in Charge Of Auditing and Accounting Section of (Bank Of Industry Limited),” does mention Nigeria. But I didn’t want to hold that against him, I know Daniel has had a rough time lately. Daniel is also a very devout person. He is right to believe in God that I would never let him down, that’s one of the perks of being my friend, but I knew I could never take him up on his offer. But then I read to the bottom, and I began to doubt that Daniel really meant to contact me. I was intrigued by Mr. Ehinme’s predicament, and I wanted to help him – and myself, no less – but I must confess that I have never heard of any of the people mentioned in the e-mail and realized that this message must have been sent to me by mistake. This didn’t bother me, but when I reached the bottom, after reading the proposal very carefully, I found the legal boilerplate that says if I am not the intended recipient, I have to contact you. You can imagine my disappointment. In any case, please tell your secretary that he or she should take better care when sending such offers via e-mail. And please give Mr. Ehinme my warmest regards. PS – I will delete the original message post haste. 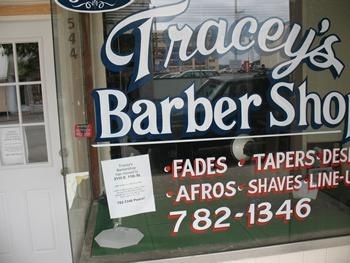 Downtown may look a little shaggier, with Tracey’s Barbershop closing down its shop on Fourth Street on Saturday. But downtown’s loss is Manette’s gain. On the related subject of downtown and vacancies, Goodies Sandwiches on Pacific and Fourth, that now-shuttered purveyor of sandwiches so large it would take two mouths to finish them, says it may have found a new owner. The shop has been sitting in suspended animation since January. Tracey’s has been styling afros and fades since 2002 from its location on Fourth, but between an aging, hard-to-heat building and what owners Tracey and Andre Jones described as “problems with the landlord,” they packed up and found a bigger, better building at the same price on 11th. “It was time for a change,” Tracey Jones said. There was also the issue of crime. “We got broken into too many times,” Andre Jones said, tallying four break-ins during the past six years. Parking is better in Manette, they said, and the business climate seems more friendly. “Downtown is not business friendly,” Tracey Jones said. Tracey’s new address is 2110 E. 11th, but the phone number remains the same, 782-1346. As for Goodie’s, owners Dennis and Candy Caraker are in talks with a potential new owner to buy the coffee and sandwich shop/wi-fi hotspot. The Carakers took over the restaurant in June 2005. During summer months, when business increased, the shop had up to five employees. During slow months Caraker said it was just him and one employee. “It was a nice, fun place,” Caraker said. What sank the venture were a pair of sudden deaths in the family, he said. “I had too much going on in my family life,” he said. On Tuesday a legal notice was duct-taped to Goodie’s front door saying the couple owes back rent totaling $7,082 as of July 1. Check out this story from our friends at the Bremerton Patriot. 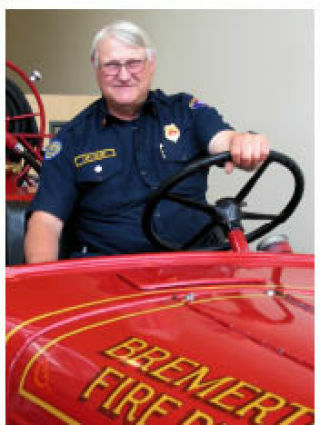 It’s a profile of Bremerton Fire Department Capt. Paul Golnik, written by reporter Rachel Brant. Golnik is celebrating 38 years with the department. Is Port Orchard Suffering from Bremerton Envy? It’s tough living in the shadow of Bremerton. Witness this, an unsigned editorial from the Port Orchard Independent, where a mystery writer speaking on behalf of the entire town, is, like, totally bummed out that the Port of Bremerton has dealt smack-downs to Port Orchard SKIA proposals.